Senior Companion volunteers decorated cookies at their “ugly sweater” party, sponsored by Hill & Knowlton. Dozens of volunteer events and thousands of gift donations to program participants brought cheer to hundreds of Henry Street participants, making the 2018 holiday season an exceptional one, filled with laughter and delight. We offer our deepest thanks to the corporations, individuals, organizations, and schools that contributed, and we can’t help but share the love—read on for event recaps and photos! Credit Suisse kicked off the season with a holiday party for the Urban Family Center and kept the festivities going all month long with three gingerbread house-making events with Henry Street’s after-school program. The NYPD Explorer Program held coat drives for participants at Jobs Plus and the Workforce Development Center as well as United Family Center (UFC) residents. The group also threw a holiday party (with a visit from Santa!) at UFC and helped host a gingerbread house–making event with after-school students. (Below) Macy’s hosted a holiday party and distributed gifts at the Early Childhood Education Center. Members of Henry Street’s Board of Directors, Friends with Benefits, and the Young Collectors Committee hosted a gingerbread house/pizza party for the youth of the Urban Family Center, with Mario the Magician and gift bags. They also donated toys and gifts to the shelter’s youth. 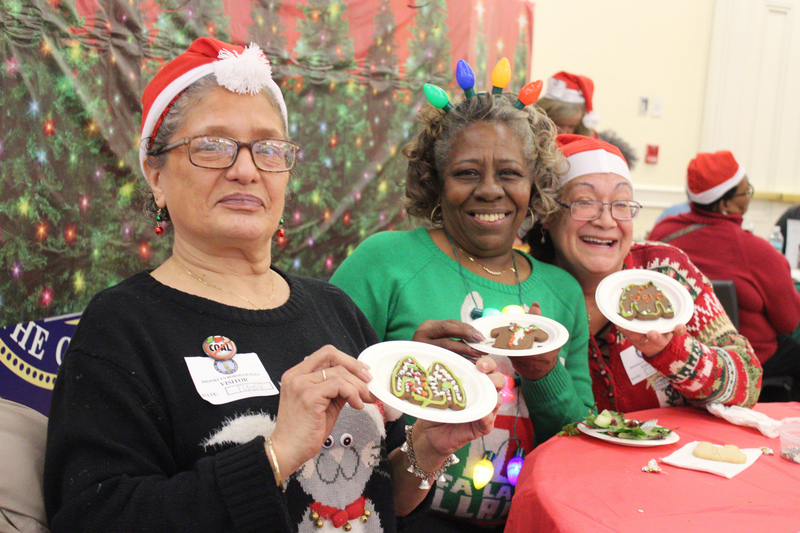 Hill & Knowlton partnered with the Settlement’s Senior Companion Program to hold the program’s bi-annual Holiday Recognition Luncheon, which had an “ugly sweater” theme, lunch, dancing, a photo booth, and more. George Jackson Academy served lunch and played games at the Henry Street Settlement Senior Center. (Below) Guggenheim Partners got in on the gingerbread-house action with Henry Street’s after-school program, and helped set Intern & Earn participants up for success at a mock interview event. Nahla Capital hosted a Winter Wonderland event with students from the Henry Street School-Based Mental Health Clinic. JPMorgan Chase & Co. volunteers crafted gingerbread houses with students from Henry Street’s after-school program and helped throw holiday parties for youth at the Urban Family Center and Helen’s House shelters. CME Group held a gingerbread house–making party and donated holiday gifts for youth at the Boys and Girls Republic. High school students from NEST+m delivered holiday cards and served dinner at the Henry Street Settlement Senior Center. 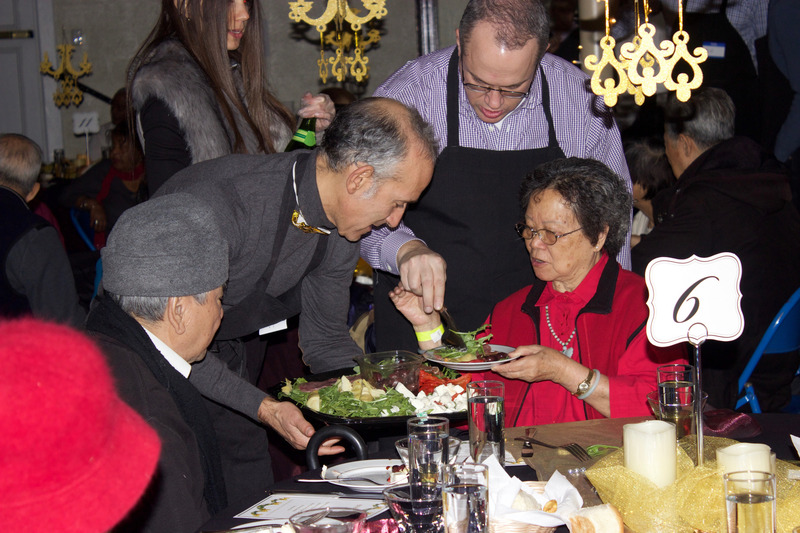 (Above) Fir Tree Partners hosted its much-anticipated sparkling annual holiday party for Senior Center members, complete with a gourmet meal served by volunteers, music and professional dancers, raffles, and a photo booth. Allen & Overy donated gift cards and dinner to youth at the Boys & Girls Republic. TD Securities distributed holiday gifts at the Urban Family Center on Christmas Day. The New York Junior League served lunch and visited at the Henry Street Settlement Senior Center. 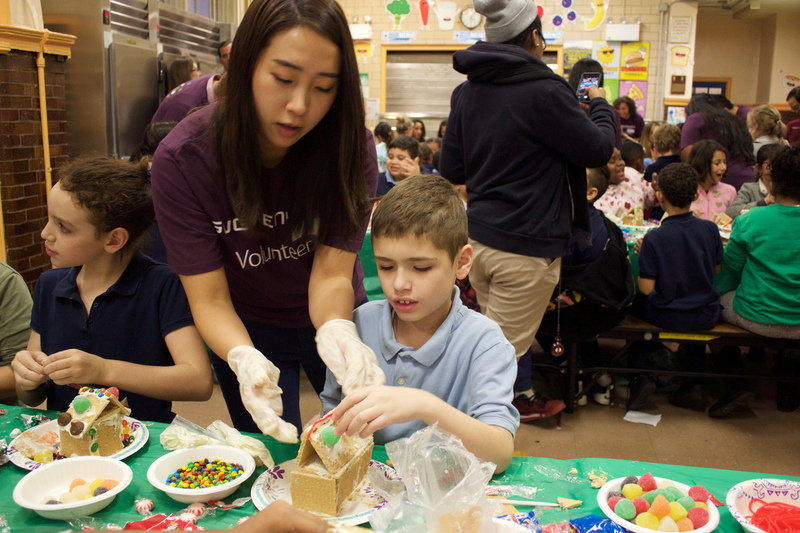 The Amazing Women of NYC helped host a gingerbread house–making event with after school students. Finally, a special thank you to the corporate partners who supported us this holiday season by purchasing and donating thousands of gifts which were distributed across all of our youth programs: TD Securities, Federation of Protestant Welfare Agencies, CME Group, Nahla Capital, Macy’s, Allen & Overy, JP Morgan Chase, Plaza College, Serenilite, Assurant, United Neighborhood Houses, Aberdeen Asset Management, Deutsche Bank, and the Henry Street Settlement Board of Trustees. Another big thank you to all of the generous individuals who donated through our online toy drive!